How Old Is “Too Old” When It Comes to Air Conditioners? This is a good question to ask whenever the hot weather starts up and you turn on your trusty ol’ cooling system for comfort. Because once an air conditioner is “too old,” it won’t stay trusty much longer. You could end up with a busted AC on the hottest day of the year, waiting for repairs to arrive and hoping that the system can be fixed. If your air conditioner has been with you long enough that you’re starting to wonder if it is past its prime, put serious consideration into replacing it. Posted in Air Conditioning | Comments Off on How Old Is “Too Old” When It Comes to Air Conditioners? Why Is My Air Conditioning System Making So Much Noise? As the weather warms up through the spring, and with summer just over the horizon in June, you’ll begin to run your residential air conditioning system more and more often. It’s important to pay attention during this time to any warning signs that the AC isn’t performing as well as it should, or that it may need immediate repairs so that it won’t fail when temperatures rise even higher. Posted in Air Conditioning | Comments Off on Why Is My Air Conditioning System Making So Much Noise? It may be hard to imagine with the chilly, rainy weather we’ve had in recent weeks, but spring is well on its way to Plattsburgh, NY. Before we know it, warm weather will be here. When that time comes, you’ll definitely want to make sure you have a properly functioning air conditioner. This is especially true if your system is 10-15 years old. However there are some additional signs you should watch out for, which we’ve highlighted below. For many of us here in the Burlington area, summer is the best time of the year. It’s a time of barbecues, fishing, hiking and swimming, but on those especially humid days, it can also be one of discomfort. If your AC is no longer up to the task of providing cool air to your home, then it may be time to look for something new. There are several signs to look for and several new system options available. How cool do you want to be? The term short-cycling describes a condition where a heating or cooling system starts to turn on and off rapidly over an extended period. In an air conditioner, short-cycling consists of the compressor kicking in, but then shutting off only a brief time later before it can complete its full cooling cycle. Not long after, the compressor comes on again and the process repeats. Coming out of a hot summer, air conditioners can sometimes start to malfunction because of the large amount of stress they just endured. Often, a few targeted repairs from experienced technicians will handle the trouble and restore the AC to its best working order. But there are times when an air conditioning system will start giving signs that it should be shut off for the last time and replaced with a new unit. We’ll look at a few of the ways you can determine that your AC should be retired and a new system installed. You will want a second option when it comes to the choice to repair or replace. Bring in professionals like those at Red Rock Mechanical to look over your AC and determine if replacement is the best choice. You can also count on professionals to handle either the necessary repairs or installation. Expert installation work should ensure that your air conditioning replacement in Montpelier, VT will give you many future years of cooling. System age: The best barometer for air conditioner replacement is how old the system is. Check on the manufacturer’s estimated lifespan for the unit (it is either on the cabinet or in the manual). If the AC is at or beyond the estimate, then you should give serious consideration to replacing the unit, even if it still seems to work adequately. The chance of the AC breaking down when you need it or starting to work inefficiently will begin to increase from this point, and often it’s a wise idea to get ahead of the problem and schedule the replacement when it is convenient. Too many repairs: There’s a good rule of thumb when it comes to knowing when a repair is no longer worth it: if the repairs during a year are equal to or greater than half the cost of a new system, you should leave the repairs aside and invest in the new system. Rising electrical bills: If you keep up with regular maintenance for your air conditioner, it should retain 95% of its efficiency through most of its life. But when age catches up to it, it will begin to rapidly decline in energy-efficiency, and you will see this reflected in your bills. If repairs and regular maintenance do not change the elevation in the bills, you should replace the AC. 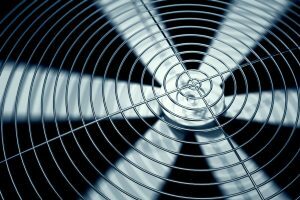 Loud operation: An air conditioner that has ceased working effectively due to age deterioration will begin make loud mechanical sounds while it runs. An occasional odd noise here and there may point toward a repair issue, but if the whole system has become a noise pollution issue, then it’s indicating it should be replaced. The team at Red Rock Mechanical that handles air conditioning replacement in Montpelier, VT is NATE-certified and can bring you the quality work that will keep your home cooled efficiently and effectively. Put your trust in our 23 years of experience. Summer time is air conditioning time in places like Plattsburgh, NY, with high temperatures and humidity the norm. We need quality air conditioning systems to keep our homes cool and comfortable when the mercury starts to rise, and with regular maintenance, you can expect your AC unit to last for many years. Sooner or later, however, everything wears out and eventually you’ll need to consider replacing your existing air conditioning unit with a new one. When you do it’s probably a good idea to think about doing it in the fall rather than any other time of year. The best reason is the most obvious. You don’t want to go without air conditioning in the height of summer when even a few hours turns your home into a sauna. As the temperature drops to more comfortable levels, a trained technician can begin installation without worrying about a sudden heat wave. On the flipside, completing installation before the first snow arrives makes the process infinitely easier, leaving you with a unit all ready to go by the time spring rolls around. When you decide to replace your AC, make sure you contact a company that will give you good money for your dollar. Proper installation is vital to an efficient system, delaying the kind of loose bolts, leaky parts and ill-fitting components that lead to further wear and tear. The fall gives you plenty of time to contemplate your options and select the company that’s right for you. Red Rock Mechanical LLC can install new air conditioning units in Plattsburgh, NY and throughout the surrounding communities. Contact us today to set up a consultation. Our experts will replace your AC with complete dedication to your total satisfaction.